Please enjoy even more wearing a kimono than traveling Kyoto. 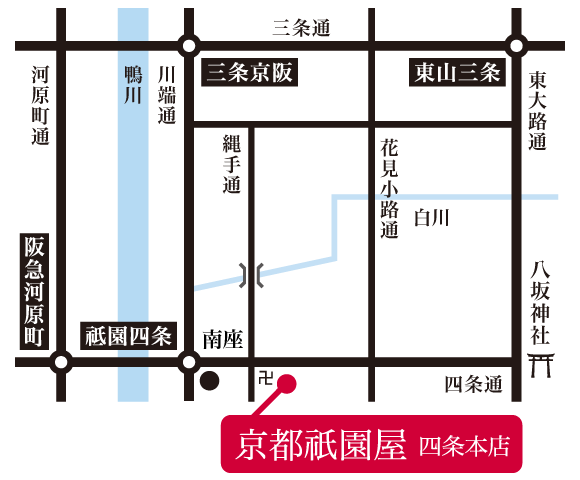 Kyoto Gionya has six plans starting from ¥3,000 (excluding tax). You can come to our shop without reservation, but we recommend you to make an advance reservation. includes a kimono and accessories that are chosen in advance by our staff. Accessories: obi belt, zori footwear, tabi socks, and bag. Option: hair ornament ¥500 (excluding tax). includes a kimono and accessories of your choice. Accessories: obi belt, zori footwear, tabi socks, bag, and hair ornament. includes an upgraded kimono and upgraded accessories of your choice. for 165 to185 cm tall men, includes a kimono and accessories of your choice. (excluding tax) is a combination of Men’s plan ¥3,000 and women’s Set plan ¥3,000. It is possible to upgrade women’s plan to Recommended plan with a supplement of ¥2,000 (excluding tax) or Premium plan with a supplement of ¥4,000 (excluding tax). for both boys and girls from 90 to 135cm tall, includes a kimono, obi belt, zori footwear, tabi socks. The number of the kids kimono is limited. Please return the kimono back to our shop before 19:00 on the same day. Late fee: An additional ¥1,000 per person per hour (excluding tax) will be charged. Please return the kimono back to our shop before 16:00 on the next day. If you take all your baggage with you, we will ask you to pay a refundable deposit of ¥10,000 per person (cash only) separately from a kimono rental fee and the Next Day Return fee. The deposit will be refunded when you return the kimono to our shop. Please put the kimono in a bag provided by “Kyoto Gionya” and return it to the reception of your hotel. We will deliver your baggage to your hotel. Please note that we will not be responsible for any loss of or damage to your valuables. Note: Your hotel must be in Kyoto City. ※We have no storage room for roller bags or large suitcases. Please put them in a coin-operated locker before you come to our shop. Copyright 2016 kyoto-gionya.All Rights Reserved.